Luxury 2 bed apartment overlooking the river and meadow. Our lovely Grade 2 listed apartment dates back to 1849 where it was used as the bridge tollgate building. Newly refurbished with all the original features still on display, this is the perfect spot to enjoy all the character and charm Stamford has to offer. 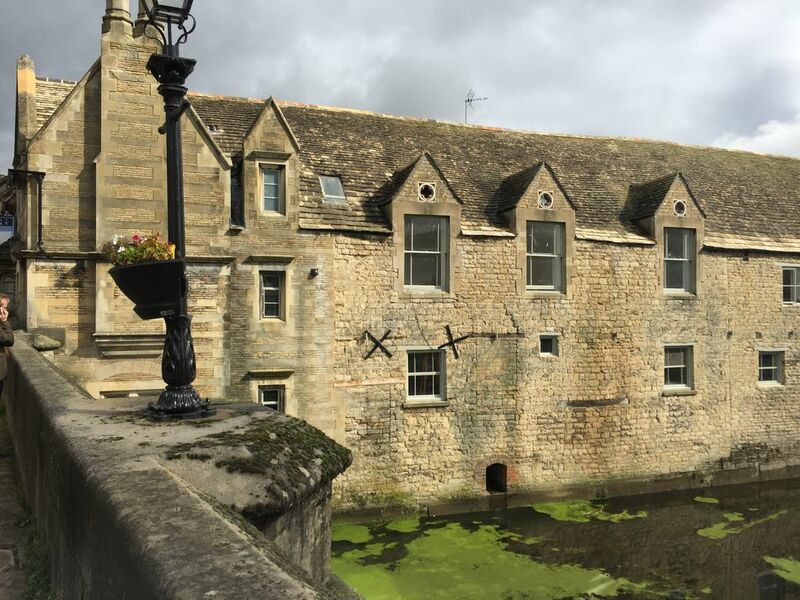 This beautiful apartment, set in the centre of Stamford and right on the river gives you the views, style and comfort you desire to enhance your experience. Indulge your senses. Characterful, Charm and style. Grade 2 listed history with all the trimmings of modern life. You'll be embraced in the historic ambience of the exposed beams and original window arches. You'll feel the luxury and comfort of a custom designed kitchen with fitted appliances and quartz worktops, walnut timber floors, top quality carpets, porcelain floor tiles throughout the kitchen and bathroom and walnut internal doors. Stamford is a historic market town on the River Welland in Lincolnshire, England, 92 miles north of London on the A1. It was once voted the best place to live in the UK by Telegraph readers. These apartments sit on the edge of the River Welland. You can look out over this from the living room whilst relaxing on the sofa. Due to the nature of this old town, parking is sparse. We recommend using one of three public carparks within a two-minute walk. Dishwasher, washer/dryer, oven, island HOB, quartz worktops, porcelain tiling, Breakfast bar with stools. We're happy to welcome a new luxury spa and beauty salon on the ground floor. Enjoy having hair, face and nails pampered then relax in the hot tub on the balcony over the river with a glass of champagne. The perfect way to compliment your stay.